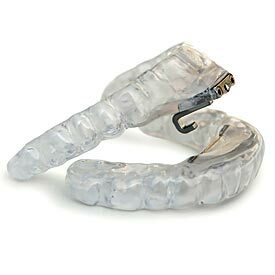 Talking about snoring can be an uncomfortable topic for most people to bring up, especially to their dentist, but at Shawnessy Smiles, we offer South Calgary Custom Snore Guards to help everyone in your family, including yourself, get a good night’s sleep. We know a good night’s sleep is important for your overall health and wellness which is why we offer South Calgary Snore Guards to help you eliminate your snoring. Call us today at (403) 254-1124 to schedule your appointment with Dr. Roman Koutsil to learn more about your options for South Calgary Snore Guards at Shawnessy Smiles Dental Clinic!